I never particularly liked rye bread growing up. Rye bread tends to be dry, and coarse. Even with spreads in between, the bitter aftertaste still lingered in my mouth. Plus it had way too much caraway seeds in them. Once I was introduced to Russian black bread, I decided to perfect the rye bread through various experimentations. Not only does this revised rye bread recipe produce soft and light bread, but it has a sweetness to it as well. As a self-proclaimed enthusiastic and reputable bread baker, baking rye bread was quite an achievement for me. The crust is a highlight for me. Dissolve yeast in warm water and brown sugar. Place yeast mixture in a large metal bowl. Add caraway seeds,oats, salt, vegetable oil, cocoa powder, 5 cups of rye flour and then 2 cups of bread flour, mixing into the yeast mixture after each addition with a wooden spoon. Add more bread flour, a cup at a time, until the dough is not so sticky and it is too hard to mix it with the wooden spoon. At that point, spread a half cupful of flour onto a large, clean, flat surface and put the dough onto the surface. Knead the dough by pressing down with the heel of your hand, stretching it, turning the dough a quarter-turn, pulling the dough back toward you and then pressing and stretching again. Knead additional bread flour into the dough until it reaches the right consistency. Knead for 5-7 minutes, or until the dough is smooth and elastic. Spread some vegetable oil around a large bowl and place the dough in it, turning it so it gets coated in the oil. Cover the bowl with plastic wrap or a damp cloth. Let rise at room temperature until it has doubled in size, about an hour and a half. Gently press down on the dough so some of its air is released. Knead the dough a few turns and then divide it by cutting it in half with a sharp knife. Shape each half into loaf. Place dough loafs into either oiled bread loaf pans, or onto a flat baking sheet or peel that has been sprinkled with corn flour. Cover with plastic or a damp cloth. Let rise again, this time not doubling in volume, but rising by about half of its volume, about 45 minutes, half as long as the first rising. The dough should be peeking over the top of the loaf pan if using a loaf pan. Preheat oven to 350 degrees F at last a half an hour before baking. Mist dough with a little water. Top loaves with flaxseeds and oats. Bake for 40-45 minutes or until done. The bread should sound hollow when tapped. 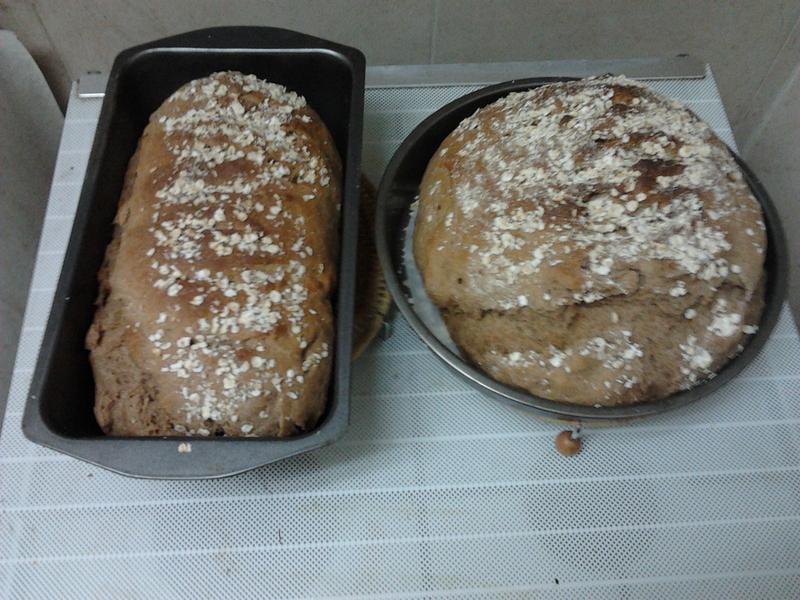 This entry was posted in Bread and tagged Bread, brown sugar, flax seeds, Flour, oats, rye, yeast. You can drizzle a little maple syrup (not pancake syrup) over it or eat it as it is. If you are looking for an extra crunch, you can throw in some nuts if you choose to. You can use the frozen packaged winter squash sold at the freezer section in your stores or you can use the actual vegetables like I did. Living in an area with limited produce, especially where I live requires you to do things the tedious way. The packaged stuff would have been more convenient but I don’t have that luxury. Preheat oven to 350 degrees F. Steam squashes in a pot of simmering water over medium low heat covered until soft. Mash or puree squash until smooth and no longer clumpy. Let the puree cool. Transfer to a bowl. Beat eggs and add it to the squash. Fold in flour,salt,cinnamon,and nutmeg. Sprinkle some more cinnamon and nutmeg on top if desired. Pour mixture into a greased 9 inch round pan. 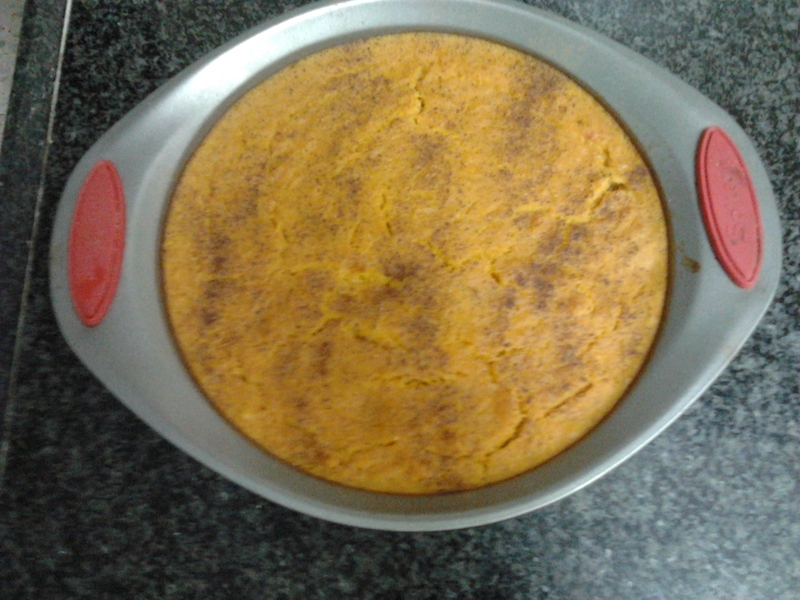 Bake for 35-40 minutes or until toothpick comes out clean when inserted. This entry was posted in Side Dishes, Vegetarian and tagged acorn squash, butternut squash, cinnamon, cloves, eggs, Flour, nutmeg, souffle, squash, sweet potatoes. I have to admit that my confidence level is not where it should be when it comes to cooking meat. I have cooked poultry most of my life though. Aside from the lack of experience, the task seems daunting. Getting the meat at the right cooking temperature can be challenging at times. I almost never get it to the level of my expectation. While most meats dry out when reheated, I found out it wasn’t the case with brisket. In fact, the meat is more tender as you reheat it. There is nothing I dislike more than dried up meat. While this brisket recipe doesn’t require marination, it should be cooked covered most of the time. While some recipes allow you to cook brisket in a Durch oven or large pan, I normally use the oven. Either way, it requires 2 1/2-3 hours of cooking time. It needs a nice sear to start off with. Brisket is plentiful and leftovers can be used to make sandwiches,salads,or stews. This brisket serves nicely with mashed potatoes,cabbages, and even with a squash souffle (next recipe). Preheat oven to 325 degrees F. Heat about 2 tablespoons of olive oil in a large pot over medium high flame. Rinse and pat brisket dry. Rub brisket with salt,pepper,and paprika. Place brisket in the pot and sear for about 4 minutes on each side. Remove brisket from pot and transfer to roasting pan. Using the same pot, add onions and saute till translucent. Add the garlic and saute for another 2-3 minutes. Transfer onions to roasting pan. In a medium bowl, mix wine,honey, and water. Pour over brisket. Cover pan with aluminum foil tightly so that the foil does not touch the meat. Bake for 2 1/2 – 3 hours or until a digital instant-read thermometer inserted into the center of the brisket reads 190° for well done. Let it cool for 20 minutes. Slice against the grain and serve. 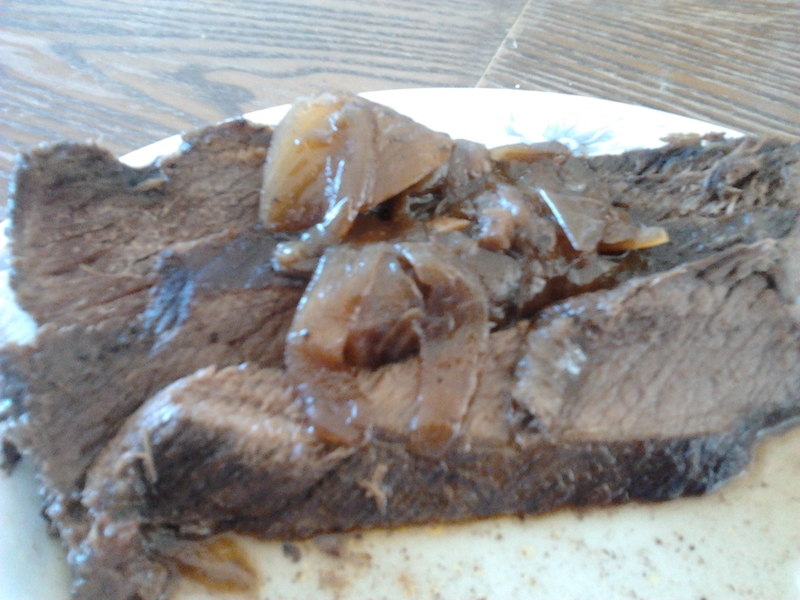 This entry was posted in Gluten Free, Meat and tagged brisket, dry red wine, honey, meat, onion. I want to apologize for falling behind schedule with my blogging. A lot has transpired over the past few weeks (only for the good reasons) and as a result, I had to put my blogging on the backseat for now. Don’t worry though; I haven’t ran out of recipes. In fact, my mother-in-law demonstrated to me on how to make homemade Greek yogurt (I will publish a recipe as soon as I have her permission to do so). I would like to share a revision of my mother’s tuna burger recipe. 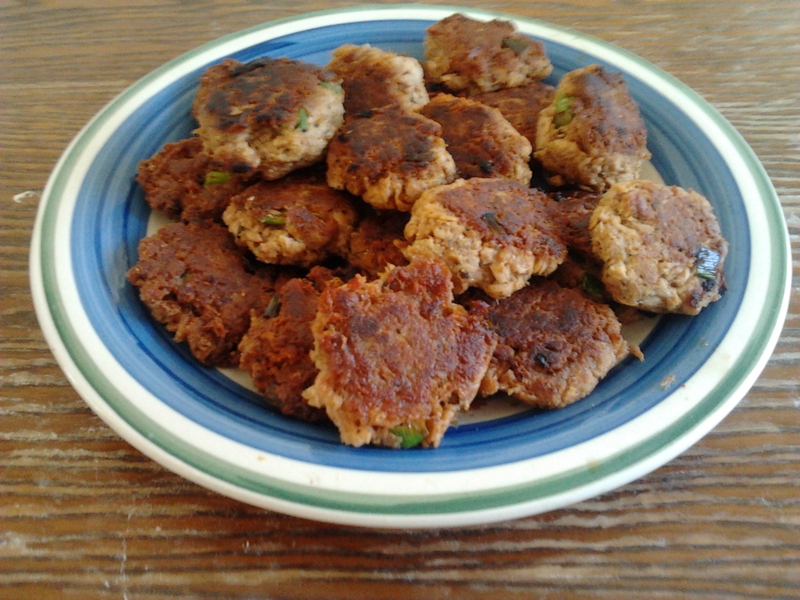 After many failed attempts to make the perfect burger, I narrowed it down to bite size tuna patties. There is nothing fonder to the heart than micro-mini sized items (cliche). I tried making this recipe as full-proof as possible. And healthy as it is tasty. You can serve them as tuna sliders with mini-buns or eat them as they are like I do. The burger mixture might seem a little soft going into the pan, but once the first side is cooked, you’ll be able to flip them easily. Serve with steamed broccoli or sweet potato fries. Combine tuna, breadcrumbs, mayonnaise, scallions,egg,salt,and pepper, in a medium bowl, breaking up any larger pieces of tuna until the mixture is uniform and holds together. Heat oil in a large non-skillet over medium heat. Using your wet hands, mixture into 18 2-inch patties. Cook tuna burgers over medium heat 3 to 4 minutes until browned on one side. Turn gently and cook several minutes longer until browned on other side. Yields 18 bite size tuna burgers. This entry was posted in Fish and tagged burgers, canned, eggs, Fish, matzo meal, patties, scallions, tuna. Limes can be difficult to find where I live. They are not the most popularly sold produce unlike lemons. They are only sold at certain markets for a certain period of time during the conclusion of summer. I was able to find some limes at the Farmer’s Market in Petach Tikvah. I’ve always wanted to attempt to make key lime pie. 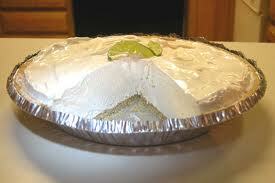 Key lime pie comes in many variations and can me made in many different way. Not only did I take the easiest route but I found a healthier alternative to make this dessert as well. Besides, I am a number one fan of no-bake desserts. This key lime pie version doesn’t require and usage of electricity nor ovens. There is nothing like beating the summer’s heat other that eating something refreshing and chilled. The simplicity of this dessert is compensated with the bold flavors it comes with. Most key lime pies require condensed milk. My local supermarket normally sells a couple cans of those but for some reason, they were out of stock. I told a gamble and used low fat plain yogurt instead. It needed more chilling time but the wait was worthwhile. If you can find condensed milk, you can use that. If you decide to use the condensed milk, omit the sugar since it already contains a sufficient amount. Use about 1 cup or more of plain non or low fat yogurt instead. A long while ago, I made a non-dairy version of key lime pie. I used non dairy dessert whip in lieu of condensed milk. This pie needed to be baked though. Because this surprisingly delicious dessert is low in sugar and fat content, I would say it is almost guilty-free. Whisk yogurt, sugar, lime juice, and zest till smooth and well combined. Pour into pie crust. Cover and refrigerate for at least 6 hours and up to 1 day. Serve with whip cream topped with a thin lime slice. This entry was posted in Dairy, Desserts and tagged condensed milk, Dairy, limes, low-fat, Pie crust, sugar, yogurt, zest. This recipe was created for Dover sole. Since Dover sole is expensive and hard to find, you can use flounder, tilapia, or any other kind of sole available at your local supermarket. Salmon would work for this recipe as well. The lemon juice adds freshness to the fish. The breadcrumbs deliver a nice crunch. Fish is a wonderful break from meat. I used to get nervous when cooking fish. Fish is vulnerable to being overcooked. Eating dried out fish is one of my pet peeves. When cooked properly, you can expect a rich and buttery flavor.This light dinner would make a perfect meal for a romantic evening. Serve it with sautéed baby vegetables and rice pilaf, leaving plenty of room for a gooey, rich dessert. Preheat oven to 425 degrees F. Lightly grease a 9 x 13-inch pan with non-stick cooking spray. In a shallow bowl, mix breadcrumbs with sesame seeds,garlic, paprika,thyme,salt, and pepper. Rinse fish and pat dry. 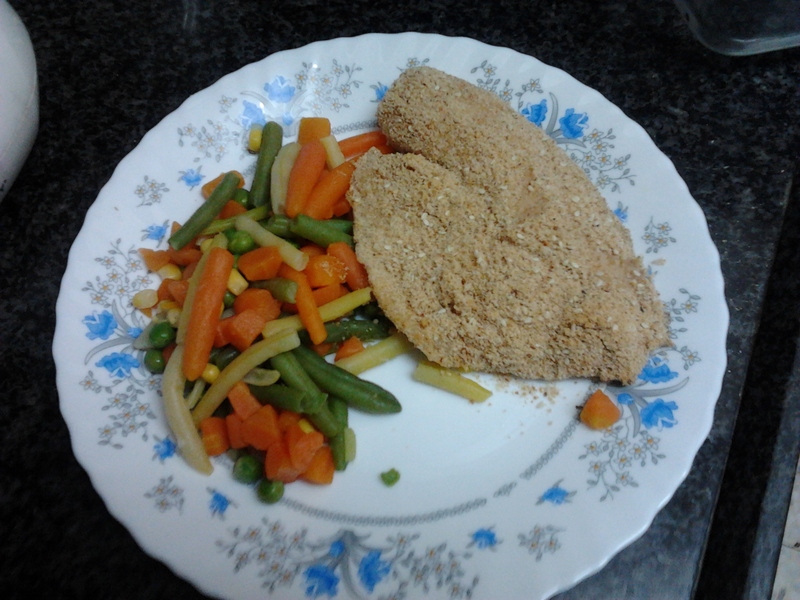 Sprinkle fish with lemon juice and place in prepared pan and sprinkle with bread crumb mixture. Spray fish with a can of cooking spray for that extra crunchy look. Bake uncovered for 10 minutes. In the meantime, melt margarine in a small sauce pan. Once melted, whisk in lemon juice and parsley. Place fish on a platter or individual plates. Spoon sauce over fillets and garnish with lemon. This entry was posted in Fish and tagged bread crumbs, Fish, sesame seeds, sole, tilapia, vegetables. If you enjoyed my gazpacho soup recipe , then you are certainly going to ape over this delightful soup. I came across many variations of yellow tomato soup recipes which intrigued me. Having not been introduced to this type of tomato soup before, I decided to make my own interpretation of this soup. Unlike gazpacho, this soup needs to be cooked prior to serving it. This soup can be eaten hot or chilled. Either way, the flavors are very bold. I’ve been searching for yellow tomatoes. If you decide to serve this soup cold, you should make this ahead of time. 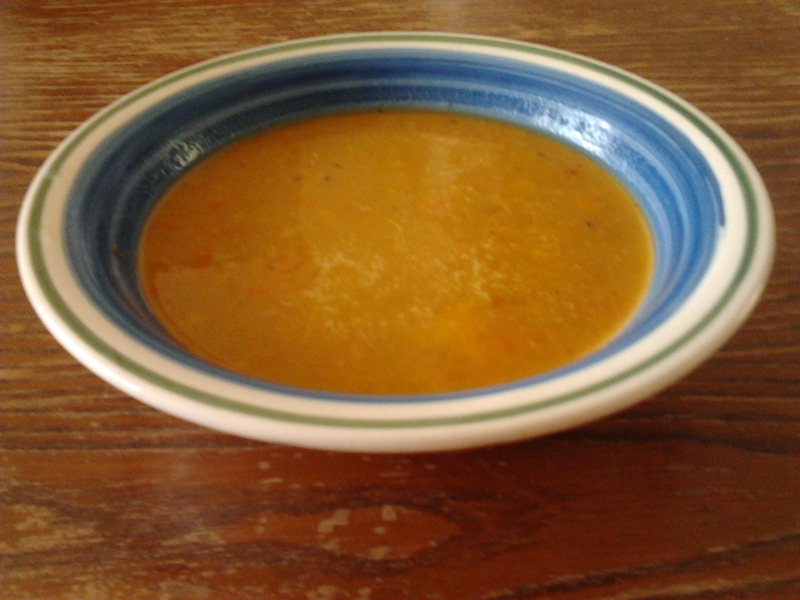 Though I didn’t use the actually tomatoes, I utilized yellow cherry tomatoes as my other alternative to making this soup. With its natural creamy texture, this soup does not require cream or milk (feel free to add those ingredients if you decide to). Tomato soups, chilled or hot, put me in a mood for a grilled cheese sandwich and some green salad. Garnish this soup with herbed croutons, basil, grated cheese, and diced tomatoes. Heat 1 tablespoon of olive oil in a soup pot over medium heat. Add onions and saute till caramelized. Add tomatoes and pepper and cook till soften. Add the garlic and basil and saute for 2 minutes. Pour in vegetable broth and bring to a boil. Lower heat flame and let it simmer for 2o minutes. Using a hand blender or a food processor, puree the vegetables. Stir in lemon juice. Season with salt and pepper. Chill completely and serve. This entry was posted in Gluten Free, Soup, Vegetarian and tagged broth, onion, soup, vegetarian, yellow bell peppers, yellow tomatoes.